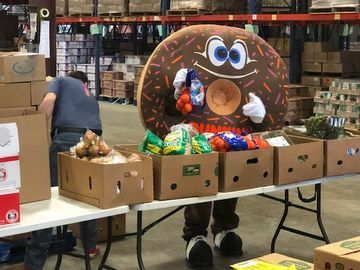 For those of us at the Joy in Childhood Foundation®, the charitable foundation supported by Dunkin’ Donuts and Baskin-Robbins, it’s all about bringing joy to kids when they need it most. 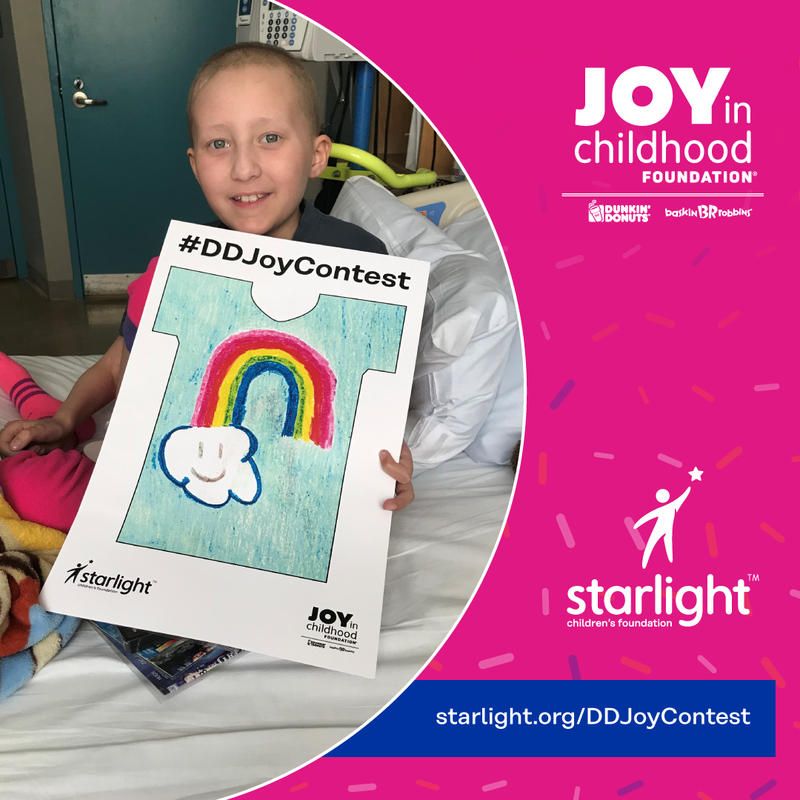 With the Dunkin' Donuts Joy in Childhood Foundation's Starlight Design-a-Gown Contest, our aim is to do just that – and we need your help! We teamed up with our national charity partner, Starlight Children’s Foundation®, to help bring smiles to hospitalized children’s faces by transforming hospital garments into fun and colorful gowns. 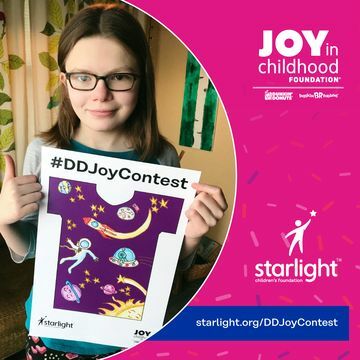 Earlier this year, the contest kicked off and we invited children and their families nationwide to help design the next Joy in Childhood Foundation custom Starlight Gown. Now, we want YOUR help choosing the winning design! 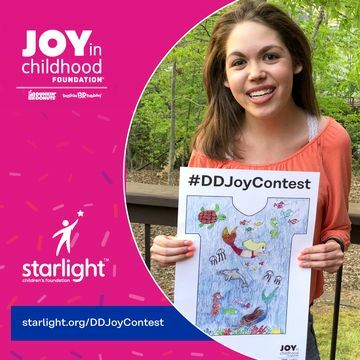 Through April 27th, cast your vote for your favorite design by visiting Starlight.org/DDJoyContest. Starting in August, the Joy in Childhood Foundation will begin distribution of the winning design to children’s hospitals across the US with Starlight Children’s Foundation. Read on for an inside look at the finalists, the designs, and their inspiration. Reese Gallinaro: Age 9, of Long Island NY. Reese’s design features a rainbow and was inspired by her belief that after every storm, there is a rainbow. Her family notes that she always makes the best of every situation, so this has become Reese’s motto as she currently battles leukemia. Ramona Deitrich: Age 11, of Chicago IL. Ramona’s space-themed design features colorful stars, planets and astronauts that she hopes will provide a distraction to children when they are in the hospital. Because she was born with a congenital heart defect and has undergone 14 surgeries, she is not eligible for sports. Instead she has found joy in artistic expression and has become a very talented young artist. Shannon Harrington: Age 41, of Jacksonville FL. Shannon, who is a mother of four, created a design that features a rainbow that says “Rise-N-Shine” on the front of the gown and a moon that says “Dream a Little Dream” on the back, which are meant to serve as reminders to stay positive and have courage during tough times. Shannon’s son Mack passed away at age 2 from complications with a mitochondrial disease. Her son Madden was also diagnosed with a mitochondrial disease and is currently participating in a clinical trial for his condition. As a result, Shannon’s family spends a lot of time in and out of the hospital for treatment. Ava Bernadino: Age 16, of Atlanta GA.
Ava, who was born with congenital heart defects, understands the role that a hospital gown can while staying in a hospital. Ava’s design features an ocean theme with colorful sea creatures, including mermaids, fish, a turtle and a seahorse. Which Starlight Gown design inspires you? 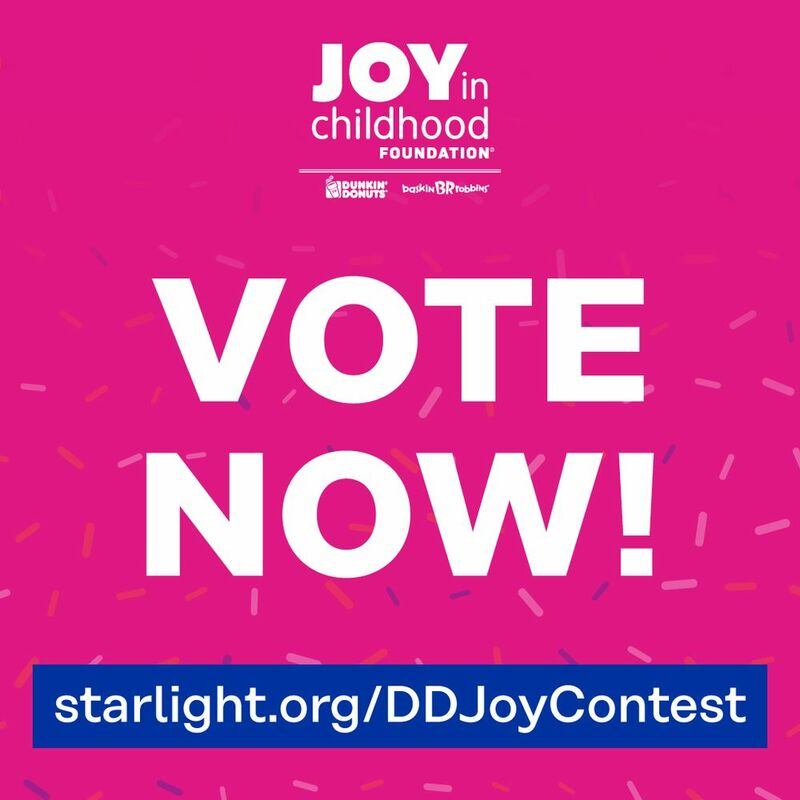 Vote for your favorite at starlight.com/DDJoyContest! 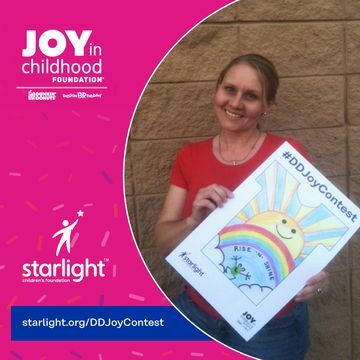 And be sure to share on Facebook, Twitter and Instagram using #MyStarlightGown and #DDJoyContest. In 2017, the Joy in Childhood Foundation made a three-year, $1.5 million commitment to Starlight Children’s Foundation in support of programs that bring joy and comfort to hospitalized kids, including the Starlight Gown program. To date, the Joy in Childhood Foundation has delivered 10,000 of its custom Starlight Gowns to children’s hospitals nationwide. 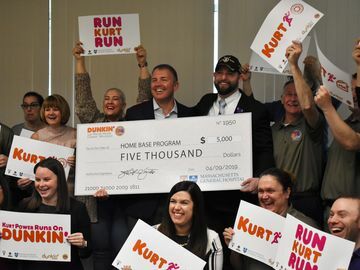 To stay up to date on all things Dunkin’, sign up for our email news alerts at news.dunkindonuts.com/alerts. 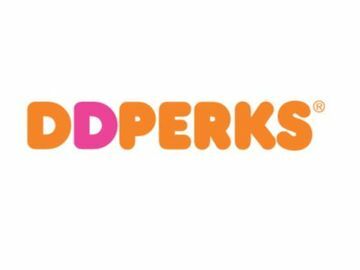 Introducing Our 10 Millionth DD Perks Member!